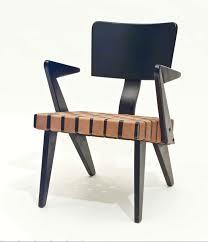 Russell Spanner was a Canadian designer who contributed to residential furniture designs in the 1950s. Some of his most famous works are the Ruspan Line, Catalina and Pasadena. Russell Spanner (centre) with some of his friends. Russell Spanner was born in Toronto on July 18, 1916. As a student he pursued architectural drafting and was also an accomplished amateur wrestler, winning a City of Toronto championship. In fact, he was known to test the strength of his designs by jumping on them and throwing them across the factory floor. Spanner’s family was in the business of manufacturing battery separators but by the later 1930s, due to a decrease in demands, it diversified into manufacturing other wooden items, including table-tennis tables, and “Breakfast Room Furniture”. 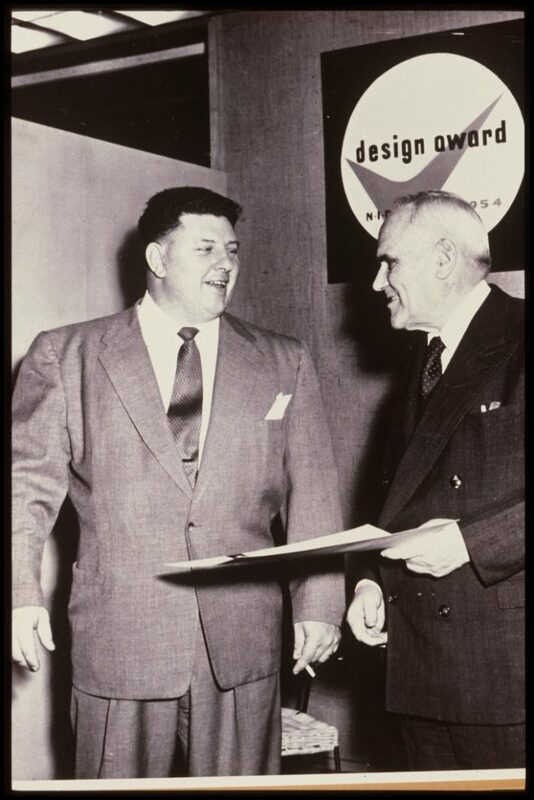 Russell Spanner receiving a National Industrial Design Council award from C.D. Howe, Minister of Trade and Commerce. Despite a stormy relationship with his father Albion Spanner, Russell joined the family business in 1941, working as the foreman of the night shift. After taking a course in factory management he came up with many ideas to improve plant efficiency, but met opposition from his father and was never able to realize them. In the summer of 1945, Russell was reassigned. He was now overseeing the production of furniture and was very keen to start developing his own designs, rejecting the Art Déco styling of the “breakfast room furniture”. However, he wasn’t truly able to spread his creative wings until 1948, when his father Albion retired and Russell became the plant foreman. After his father’s death, the company was in a precarious financial position. 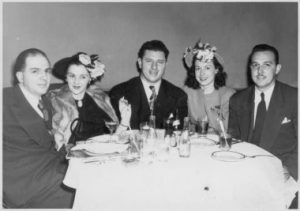 Therefore, in 1955, the family’s factory moved near Dufferin and Lawrence and started selling directly to customers, offering lower prices than the downtown department stores. By the mid-fifties, Spanner furniture design began to be influenced by the wildly popular Scandinavian style, and the distinctive look of Russell’s earlier designs was diluted. In 1963, the family’s company was dissolved, but by that time Russell Spanner had already left the family business to be the plant manager for Ontario Store Fixtures, where he continued to work until his death in 1974 at the age of 58. 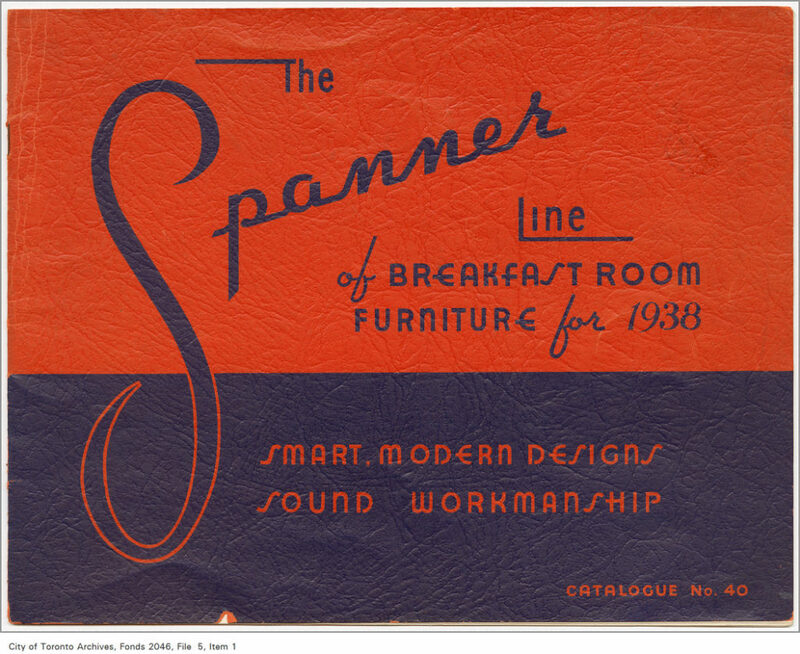 A catalogue showing Spanner Products “breakfast room furniture”. Despite the short time span of his career, Russell Spanner’s furniture continues to be popular and some re-finished pieces of his, still grace the homes of a few fortunate Toronto residents. With its quirky, space-age and yet completely functional features, Spanner’s work appeals to many of those people who feel nostalgic for the fifties, whether or not they actually lived through the decade. Spanner’s designs included dining and lounge chairs, tables, and modular storage units. To realize them, he utilized innovative manufacturing techniques such as curved plywood and non-upholstered, woven-web seating. Many of the designs reused components and shared consistent proportions, which gave his work a characteristic aesthetic. Among his three residential furniture lines (Ruspan Originals, Catalina, and Pasadena) the Lounge Chair with Arms has been described as the “best-known and most desirable” design. Several designs from the Ruspan originals line, including the Lounge Chair with Arms. In 1952, Spanner introduced his California-inspired Catalina Line, which differed from the Ruspan Originals in that the chair seats were made of padded vinyl rather than webbing. The chairs also had two splats instead of one, and a butterfly-shaped back. 1953 saw the release of the Pasadena Line, which featured cork tops incorporated into the designs, and a rounder, less ‘space-age’ appearance. Spanner’s Ruspan Originals, Catalina and Pasadena Lines.